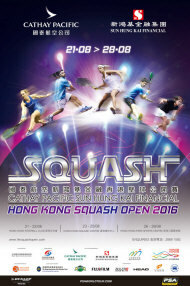 Title sponsored by Cathay Pacific and Sun Hung Kai Financial and presented by Hong Kong Squash the 31st edition of the Hong Kong Squash Open, one of the world's prestigious sporting extravaganzas, will be performed at Hong Kong Football Club, Hong Kong Squash Centre and Hong Kong Park Sports Centre from 21 to 28 August. We are delighted that the tournament has been recognized as an “M” Mark event that helps enhance the image of Hong Kong as Asia’s sports event capital. The “M” Mark, awarded by HK's Major Sports Events Committee, symbolises intense, spectacular and signature event in the territory sports calendar. 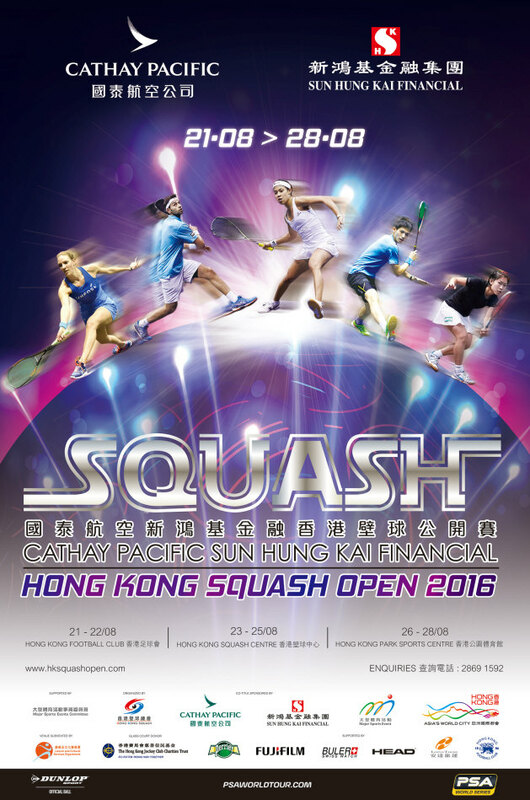 Being the first stop of the 2016/17 PSA World Series, the top 30 players will return to this star-studded tournament for a tempting winning purse of HK$2.06 million and demonstrate the best squash to delight the worldwide fans. 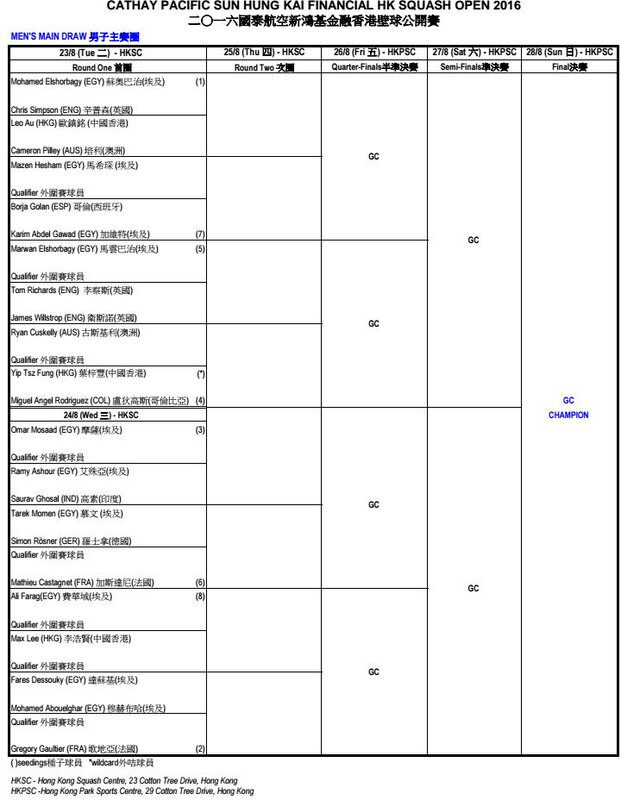 The qualifying rounds will start off at Hong Kong Football Club while the early stages of main draw commence at Hong Kong Squash Centre. 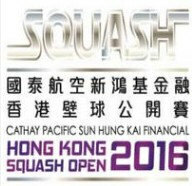 From the quarters onward the event will move to the portable glass court erected at Hong Kong Park Sports Centre. Current world #1 Mohamed Elshorbagy will defend his title as top seed in the men’s draw while Gregory Gaultier and Omar Mosaad are the seeded 2 and 3 respectively. 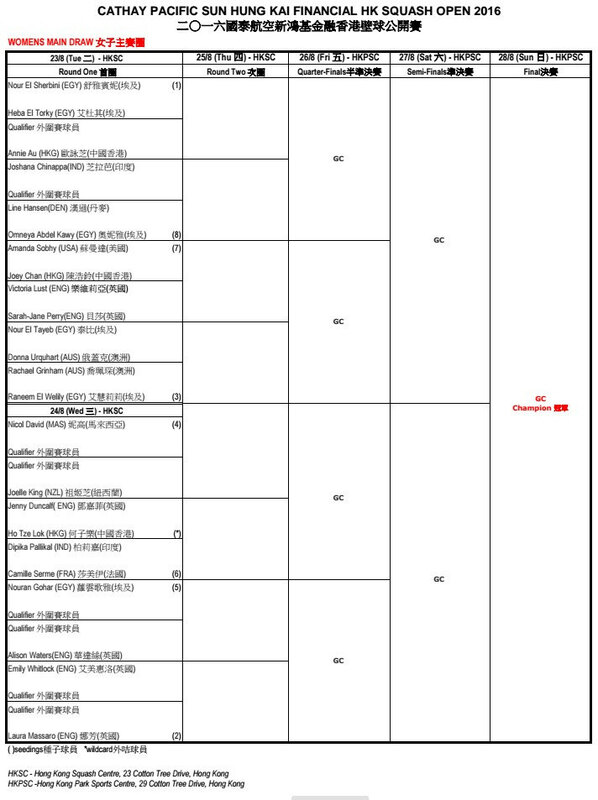 Hong Kong's leading players Max Lee and Leo Au enter the main draw, while another local star, Yip Tsz Fung who was the first local men player to advance to the second round last year, will be in the main event as well via the wildcard. 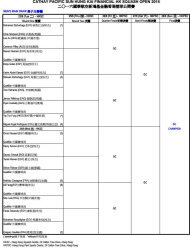 For the women’s event, the world champion and world #1 Nour El Sherbini heads the draw whereas Nicol David, the Malaysian legend who has won the last eleven HK titles, will be the fourth seed. 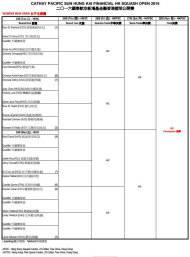 Wildcard Ho Tze Lok will join Annie Au and Joey Chan to debut in the main event. 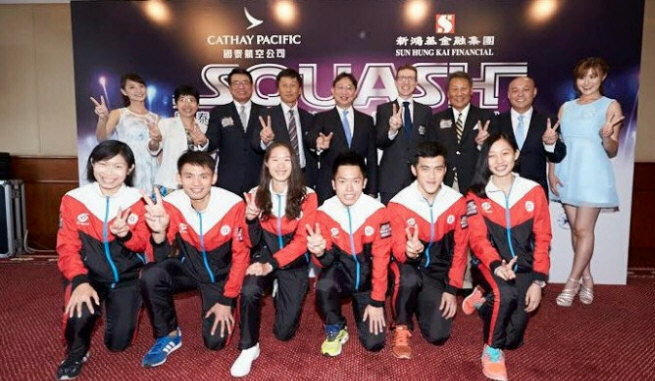 Mr. David Mui, MH JP, Chairman, Hong Kong Squash attended the draw ceremony along with the honorable guests including Mr. Yeung Tak Keung, JP, Commissioner for Sports of Home Affairs Bureau, Mr. Julian Lyden, General Manager, Marketing, Loyalty Programmes and CRM of Cathay Pacific Airways , Mr. William Leung Wing-Cheung, SBS, BBS JP, Chief Executive Officer of Sun Hung Kai Financial Limited, Mr. William Ko, BBS MH, Chairman, Major Sports Events Committee , Miss. 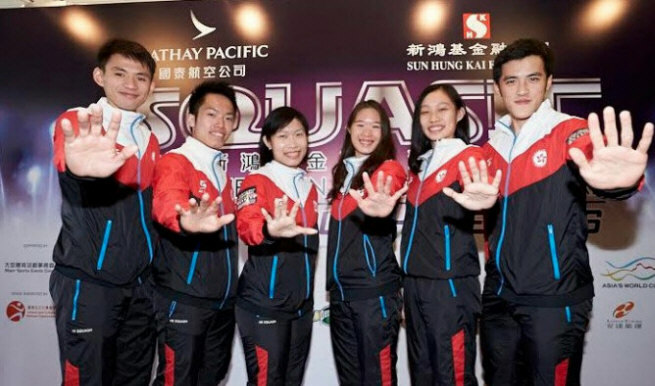 Petty Lai, Principal Assistant Secretary for Home Affairs (Recreation & Sport), Mr. Cedric Tyen, Honorary Secretary, Hong Kong Squash, Miss Erin Wong, First Runner-up, Miss Hong Kong 2014 and Miss Moon Lau, Second Runner-up, Miss Hong Kong 2013 to show their supports and anticipation for the yearly tournament.